2018 has begun as a year positioned for growth for WYA Africa. We are very excited to update our members that we in March 2018 were able to launch in new high schools in Kenya. 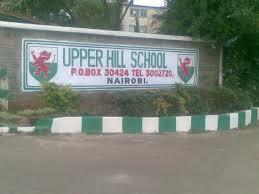 We officially launched at the Upper Hill School where we set off with over 40 students as club members. This is a number we trust to maintain and grow. We also visited Makini School and Olympic High School, where we introduced WYA and have since received positive feedback to begin club meetings once the students resume classes in May 2018. This is something we consider a great achievement as we seek to train many young people in human dignity by upholding the value of the human person in sharing person-centered approaches at a young age. We appreciate the administration of all the schools who have received WYA’s message wholeheartedly and realise the value of having their students understand human dignity from a clear anthropology of the human person as championed by WYA.